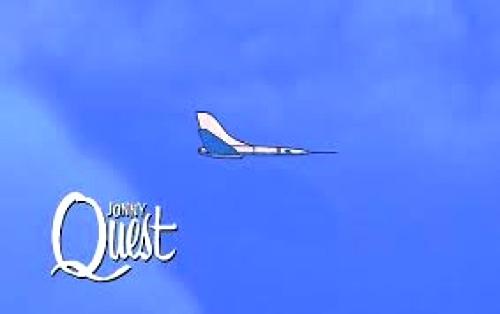 THE FUTURISTIC QUEST LABS DRAGONFLY is a suborbital craft that featured in the 1960s TV series, Jonny Quest. The design’s huge tail might look unlikely to any real-life aircraft designer, but it has presence, that’s for sure. And now the Dragonfly is the subject of a Moebius Models 1:144 scale kit. 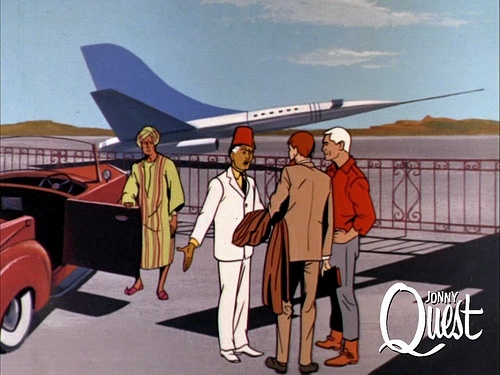 Mat Irvine: This is the first commercial kit of the Dragonfly, which is very much in the style of what Aurora might have made when Jonny Quest was first aired. That’s even more obvious when you look at the stand and nameplate decal that both mimic classic Aurora style. As is increasingly common with a number of model companies, the box base (below) is used for additional information. The Moebius Dragonfly is a simple kit, with just 11 components (plus a spare nose probe) and a two-part transparent plastic stand. Two other parts are also transparent, the flight deck canopy cover and the engine nozzle insert. The flight deck’s tiny windows need masking before painting white, and I tinted the engine insert transparent red. What’s in the box (below) are parts moulded in white and transparent plastic, an assembly instructions leaflet, plus a single decal for the stand. I painted the Dragonfly in Humbrol Gloss White in the new acrylic range. In fact, this dries to a more or less satin finish, which gives a more realistic look than high-gloss. The engine exhaust nozzle was painted aluminium, the engine intake recess, matt black. A nice touch (below). In case you damage the delicate nose probe, Moebius has already come to the rescue, by supplying a spare. Assembly doesn’t take long, with less than a dozen main components to put together. The secret after this is to give the Dragonfly loving care with cleaned-off seams and a lustrous paint finish. Business end of the engine (below) is a clear circular moulding, here tinted with Tamiya transparent red. The circular engine nozzle is finished in an aluminium shade. The instructions include the interesting suggestion of emphasising panel-line recesses. A wash of light grey is suggested, but I used a soft HB pencil (below) which is an old special-effects trick. The difference made by the pencil can be seen (below) with the starboard wing having the technique already applied, while the port wing still waits its turn. The completed model (above, below). The scale has been nominated at 1:144, which looks about right is you look at the size of the cockpit windows. The stand decal (below) mimics what you might have got with an Aurora kit of the period. 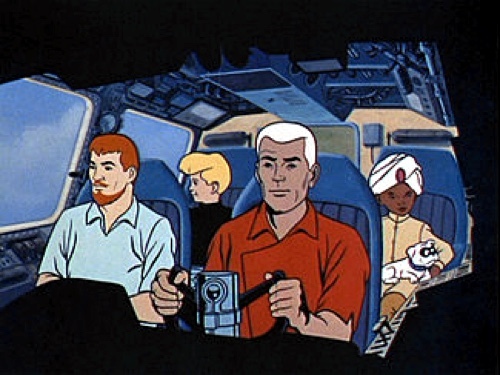 Originally produced by the Hanna-Barbera company in 1964-65, the TV cartoon show Jonny Quest was based around the scientific explorations of Dr Benton Quest, accompanied by his bodyguard and pilot, Roger ‘Race’ Bannon, his son Jonny, and Hadji, a street-wise Indian orphan adoptee. Oh, there was also a small white dog named Bandit. 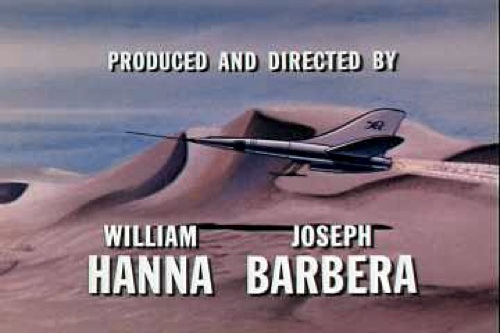 A quartet of screenshots (below) taken from the broadcast series. Overall, the Dragonfly is a very simple model, but makes an enjoyable build nevertheless, one that is going to take only a few hours, even with painting. I wonder though, why Aurora never made it in the first place. Thanks to Moebius Models for the review kit.